Seriously, it’s that easy! Follow the three steps below: 1. Choose your package, 2. Choose your theme, 3. 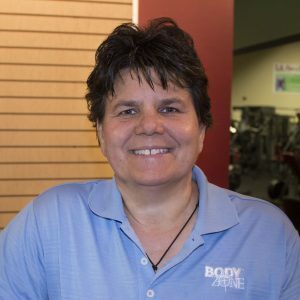 Schedule your party… and Body Zone takes care of the rest! Our party packages include at least one hour of supervised activity time (on the field, ice rink, or in the swimming pool) and 45 minutes in a private party room – all coordinated by Body Zone-trained party staff. 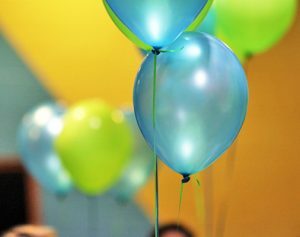 We provide invitations, freshly-baked pizza, snacks, two dozen cupcakes made-to-order in your party’s colors by Go Fish Bowl, plenty of beverages, colorful decorations and top-quality paper goods. Delicious fresh fruit and crisp veggie trays are available upon request. 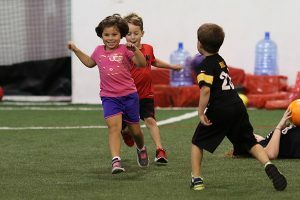 If you love playing Freeze Tag, Relay Races, and Parachute Games –this is the party for you! Spend your activity time playing some good old fashion games with your friends! For ages 4 – 10. New – Gaga Ball. Available now!! What is Gaga Ball? Glad you asked. Join us for the BZ version of a PJ party! Have fun playing some party games, doing your own make up, styling your hair, and painting your nails! Please note: PJ goodie bags are available for all guests for $4 a bag, and must be pre-ordered. Spend your party playing with your friends using our soft tunnels, mats, balls, slides and more in this tot time/free play adventure. Parents are encouraged to join in the fun! Whatever the sport, we have the party. 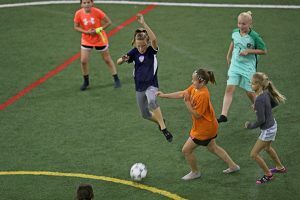 Select from the following: basketball, dodgeball, flag football, kickball, soccer, volleyball or Wiffle Ball. You name the sport, we provide the Fun! 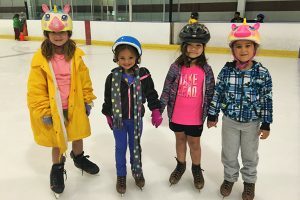 Spend two hours skating and having all kinds of chilly fun with your friends! Party includes skate rental. Spend one hour in our pool area having all sorts of watery fun. 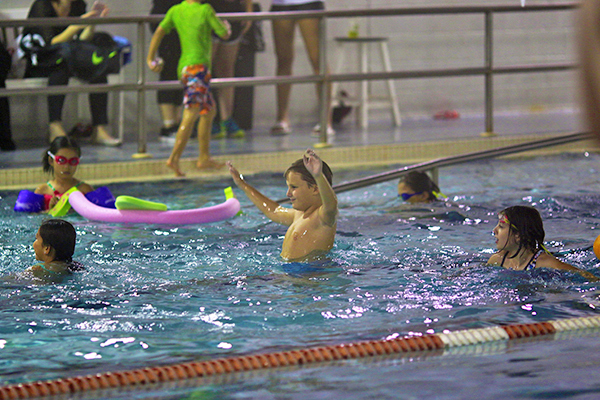 Play water games, relays, or just have fun splashing with your friends. Although your party fee includes the assistance of party hosts, the overall supervision of party guests is the responsibility of the parent or guardian hosting the party. 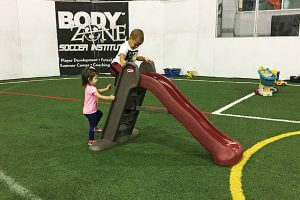 A Birthday Party Participation Waiver must be signed by all participants and returned to Body Zone before or on the day of the party. Download our party invitation . Q. How many guests may I invite? A. Basic and Super Parties include 12 guests plus the birthday child. Q. May I invite more than 12 guests? A. Yes, but there is a charge of $8 per additional guest for Basic Parties and $9 per additional guest for Super Parties. Q. May I bring my own food/drinks? A. No. We do not permit outside food or beverages in our facility. Q. May I bring alcohol for the adults? A. No. We do not permit alcoholic beverages in our facility. Q. May I purchase additional food for the adults? A. Yes. Additional pizzas are $12/pie and two dozen additional cupcakes are $25. We also offer fruit and veggie trays upon request. Q. May the parents participate in the activity, too? A. Yes. Parents of the birthday child may participate in their party free of charge. 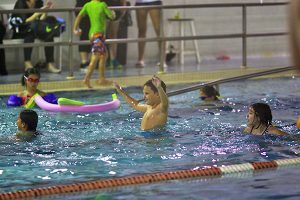 Additional adult guests may participate in field parties free of charge, however skate and swim parties require an additional fee of $10/adult which includes food and beverage. Q. How old must you be to have a swimming party or an ice skating party? A. These parties are best suited for children five and older. Anyone under the age of five must be accompanied by an adult and the adult must pay the parent fee. Q. When do you need to know the final headcount for the party? A. You will receive a confirmation call for the exact number of attendees the week before the party. Q. How early should I arrive for my party? A. The birthday child should arrive 10 minutes before the party, and guests are encouraged to arrive five minutes before the party. Everyone attending an ice skating party should arrive 15 minutes early to allow time to try on skates. Q. Do I have to bring anything with me on the day of the party? A. All paper goods, candles, balloons and decorations are provided. You are more than welcome to bring ‘goodie bags’ for children attending a party at your own cost. Q. May I tip the host/hostess? A. Yes. If you think our staff did an exceptional job, you may tip with cash, check or credit card. Q. If I need to cancel my party, how much notice must I give? A. We need a seven-day notice, otherwise full party payment is required. Q. What if the weather is bad or I have a family emergency? A. Your $100 deposit is non-refundable, but may be applied to a rescheduled party. We will work with you to make sure your party is a success.